Last week's most popular healthcare stories were packed with policy news. The CMS worked through the Fourth of July week, making changes to several payment programs. Meanwhile, other providers are amping up the push for value-based care, and the Trump administration slashed another Affordable Care Act program. 1. 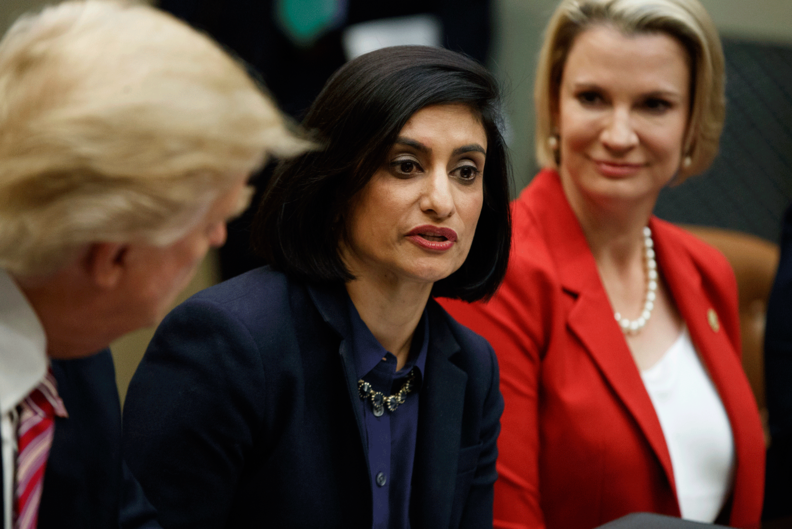 CMS proposes paying home health agencies for remote monitoring: "The redesign of the home health payment system encourages value over volume and removes incentives to provide unnecessary care," CMS Administrator Seema Verma said. 2. Hospitals 'can't afford not to' provide value-based care: Providers made more urgent calls to adopt value-based payment models at this year's Healthcare Financial Management Association conference in Las Vegas. 3. Trump administration freezes risk-adjustment payments: America's Health Insurance Plans said it was "very discouraged" by the CMS' decision to halt insurer payments under the Affordable Care Act's risk-adjustment program, which comes as insurers determine their premiums for 2019 and states review those proposals. 4. Missouri adds new Medicaid leverage for managed-care companies: Missouri is docking providers who don't join one of the state's three managed-care networks, leading to tensions between managed-care contractors and Medicaid-reliant hospitals. 5. California law introduces new data concerns for healthcare organizations: The California Consumer Privacy Act of 2018 gives consumers more control and transparency about personal data businesses collect. The new state law creates another layer of compliance for healthcare companies. 6. Joint Commission will require hospitals to use specific naming conventions for newborns: The Joint Commission issued a new requirement, which goes into effect Jan. 1, requiring hospitals to use a new naming convention for newborns. The rule is intended to avoid errors in misidentifying infants. 7. CMS to test Medicare Advantage as alternative payment model under MACRA: Clinicians in Medicare Advantage plans have urged the CMS to consider those plans as APMs since some are offering risk-based contracts. 8. Medicare Advantage enrollees spend less time in rehab: According to a report in the June 2018 edition of PLOS Medicine, Medicare Advantage enrollees spend less time in nursing facilities after surgery and received fewer minutes of rehabilitation therapy for hip fractures. 9. States expand telemedicine to allow prescribing of controlled substances: A new Connecticut law allows providers to prescribe controlled substances through telemedicine. Seven other states have passed similar laws. 10. Kentucky ruling throws doubt on future of Medicaid work requirements: The decision could set back the Trump administration's timetable for transforming Medicaid into a program whose purpose is to improve people's health and well-being through work and prepare them to switch to private insurance. For more up-to-date healthcare news, check out Modern Healthcare's "This Week's News" section.